• RELATIONSHIP: “There was obvious chemistry with his instructors, no fear was communicated, hands-on instruction was provided and, most importantly, consequences for poor choices.” The result – Oliver was learning to swim! In Oliver’s past lessons there had been lots of movement with minimal progress which equated to plenty of wasted money and loads of frustration. Within weeks of arriving at SwimLabs Littleton, the funky chicken dog paddle disappeared, and Oliver realized he was getting better. The ride home was filled with smiles. A life lesson in motion, try your best, practice and you can succeed. I believe that water is Oliver’s best friend and it is mine too. We have that in common. The water provides unlimited joy and never has any expectations. It's non-verbal too but speaks to you and welcomes you every time you dip your toe. We are so proud of Oliver’s achievements and are grateful that he is a part of our SwimLabs Littleton family. 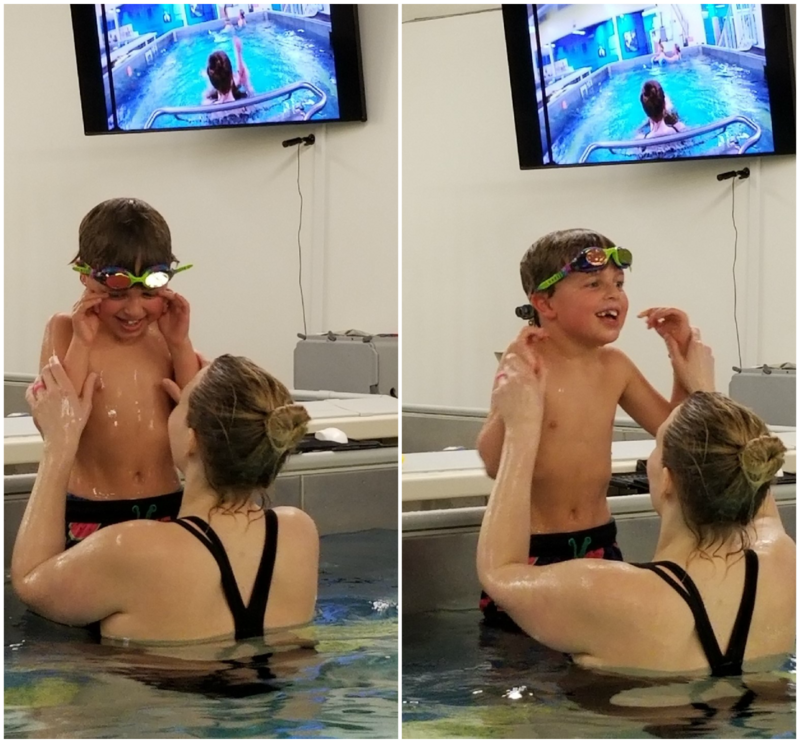 Oliver’s swim lessons were provided by Special Needs instructors, Jena Brogan, and Heather Rodriguez.